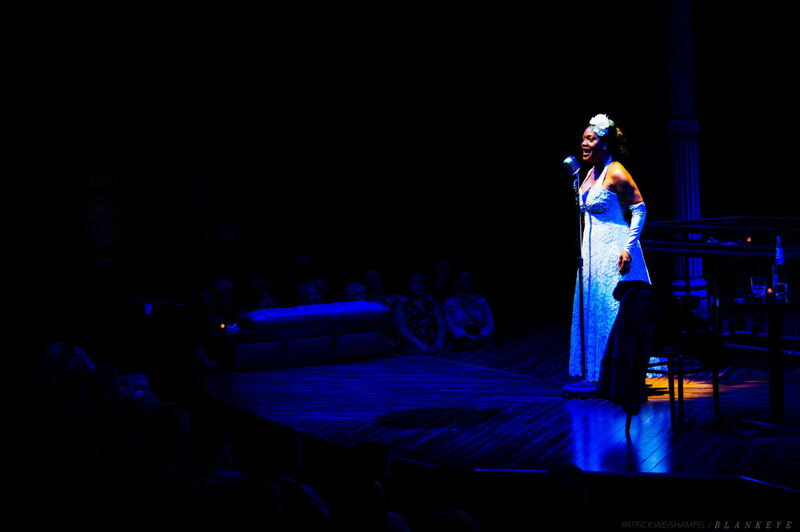 Portland Center Stage is presenting “Lady Day at Emerson’s Bar and Grill,” from May 26 to July 1 at The Armory in Portland’s Pearl District. Use the discount code “PJCE” for $10 off your ticket to any performance of this incredible production here. PJCE Executive Director Douglas Detrick interviewed Abdul Hamid Royal, musical director of the production. And, don’t miss a special concert featuring Portland-based singer-songwriter Jimmy Herrod with a sextet of PJCE musicians. We’ll be playing a new song by Jimmie, and songs written or made famous by Billie Holiday arranged by Kerry Politzer, Clay Giberson, and Alex Koehler. It’ll be a bit like a live version of this podcast with musical performances, questions and answers with the artists, and more information about one of jazz’s most iconic masters using some of Billie Holiday’s own words from archival audio. Join us to get a deeper experience of “Lady Day at Emerson’s Bar and Grill” and a deeper appreciation of an American original. The concert is Sunday, June 24th at Portland Center Stage. There’s a reception at 6 pm in the atrium, and the concert starts at 7 pm in the Ellen Bye Studio. “Lady Day at Emerson’s Bar and Grill” does not perform that night. Tickets available here.